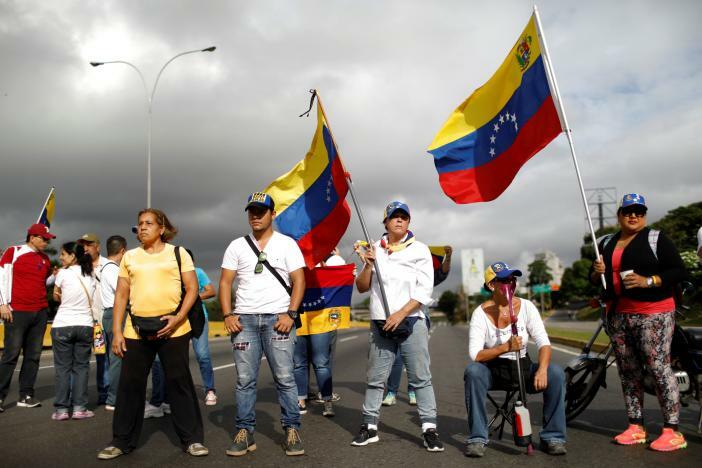 Opponents of President Nicolas Maduro staged sit-ins and roadblocks across Venezuela on Monday to press for elections, sparking new unrest and a death in the border state of Tachira. Luis Alviarez, 18, was killed during protests in the volatile western state, according to the state ombudsman’s office, which did not give more details. That brought the death toll in six weeks of protest to at least 39. Demonstrators have been on the streets daily since early April to demand elections, freedom for jailed activists, foreign humanitarian aid to offset an economic crisis, and autonomy for the opposition-controlled legislature. Maduro accuses them of seeking a violent coup. Trying to vary tactics and keep momentum, protesters have gone from throwing excrement at security forces to handing them letters and flowers for Mother’s Day on Sunday. On Monday, thousands massed from 7 a.m. (1100 GMT) on highways in Caracas and elsewhere, chanting slogans, waving banners, playing cards in deck chairs, enjoying impromptu sports games and sharing food. “I’m here for the full 12 hours. 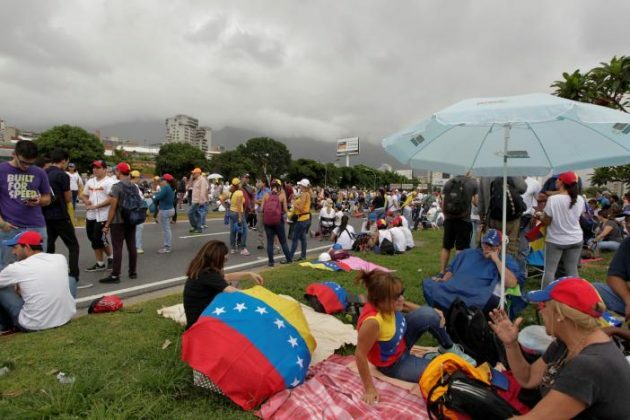 And I’ll be back every day there’s a protest, for as long as is necessary,” said Anelin Rojas, a 30-year-old human resources worker, sitting cross-legged with a novel and earphones in the middle of Caracas’ main highway. Using branches, rocks and garbage, demonstrators blocked the main Francisco Fajardo thoroughfare in Caracas. 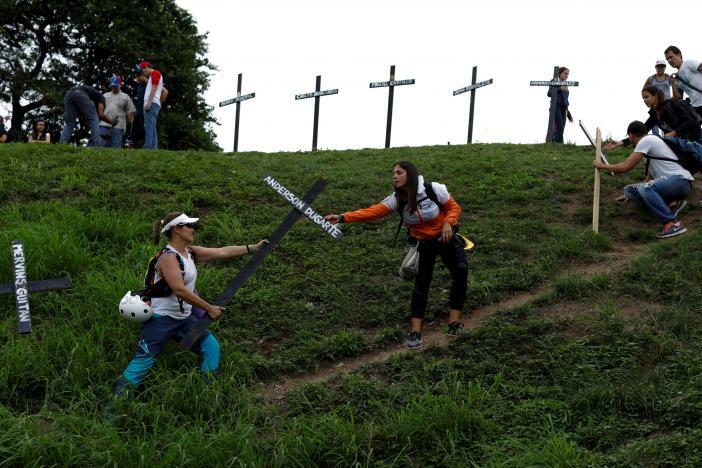 In Tachira, some farmers were striking in solidarity with the protesters. They gave away milk and cheese so it would not go to waste, witnesses said. On Margarita island, opposition lawmaker Yanet Fermin was detained while mediating between security forces and protesters, her party said. In Valencia, three policemen were injured, authorities said, with one mistakenly reported by the local Socialist Party governor as having been shot dead earlier in the day. The opposition, which commands majority support after years in the shadow of the ruling socialists, is more united than during the last wave of anti-Maduro protests in 2014. But it has been unable to stop violence in its ranks, with youths vandalizing property and starting fires when security forces block marches with tear gas, pepper spray and water cannons. 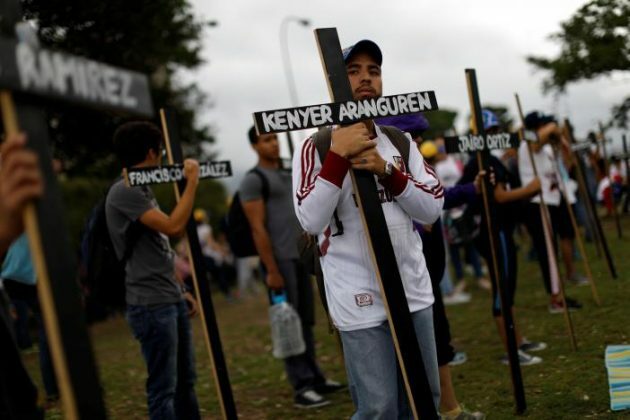 The deaths have included protesters, government sympathizers, bystanders and security forces, during six weeks of protests. Hundreds have been hurt and arrested. 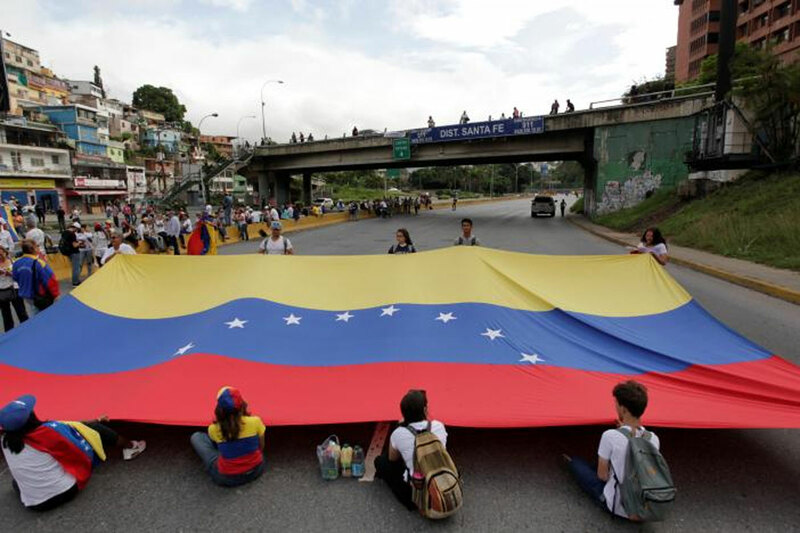 The current wave of protests, which has attracted hundreds of thousands of demonstrators on some days, has drawn greater support from the poor, who backed late leader Hugo Chavez massively but have soured on Maduro, his successor, and suffered the most from four years of recession. But the main protests have still been in middle-class areas. Maduro, 54, who narrowly won election in 2013 after Chavez’s death, says he is the victim of an international right-wing conspiracy that has already brought down leftist governments in Brazil, Argentina and Peru in recent years. 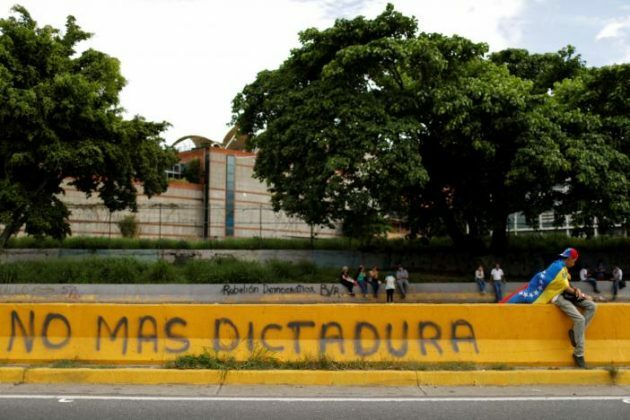 Government supporters say international media coverage of Venezuela has been biased, emphasizing government repression and minimizing opposition violence. 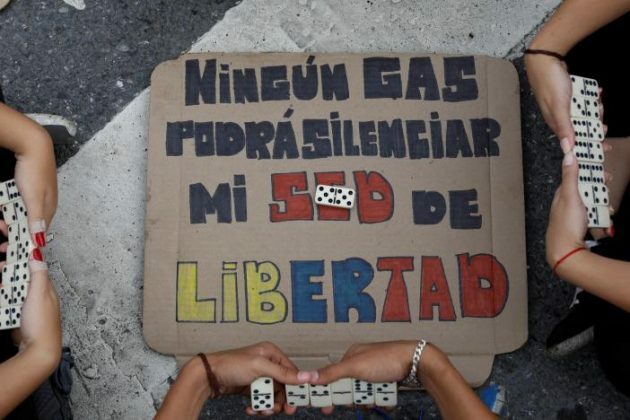 “Another crime CNN will unfairly attribute to Nicolas Maduro,” Information Minister Ernesto Villegas tweeted of the original report of the death of the policeman – which turned out to be false. International pressure on Maduro has been growing. Representatives from 18 members of the Organization of American States approved a meeting of foreign ministers to discuss Venezuela’s crisis for May 31 in Washington. 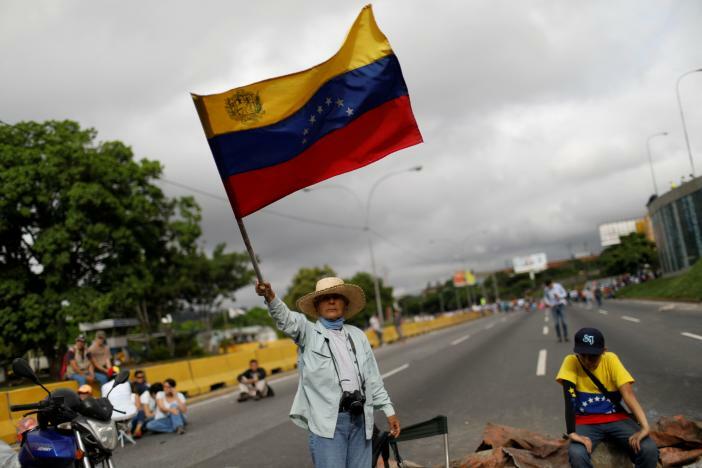 The OAS floated the idea of the meeting last month, prompting Venezuela to announce plans to withdraw from the group. The European Union on Monday called for elections in its most outspoken statement yet on the Venezuela crisis. Authorities thwarted an opposition push for a referendum last year and have also delayed state gubernatorial elections. But Maduro vowed at the weekend that the next presidential election, due in late 2018, would go ahead. “We will thrash them!” he predicted, though pollsters widely foresee defeat for the ruling Socialist Party at any open vote. Maduro says that is needed to bring peace to Venezuela, but foes view it as a cynical tactic to buy time and create a biased body that could perpetuate the socialists’ rule. Anti-Maduro protests persist in Venezuela, teenager dies in unrest. 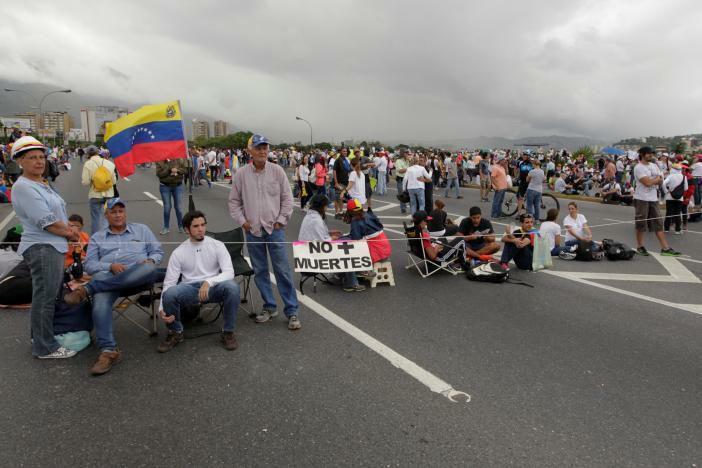 Opponents of President Nicolas Maduro staged sit-ins and roadblocks across Venezuela.